Weekly Roundup 7-14-15: Spartan Race, Cable Car Bell Champion & Vision Zero – Peninsula Moves! Test Your Durability in This Weekend’s Spartan Race: An early-morning jaunt through and around barbed wire fences, mud-ridden pathways and various other challenging obstacles may not sound like the ideal Saturday for most folks, but that scene probably sounds just about right for the participants in this weekend’s Spartan Race at AT&T Park in San Francisco. A stamina-testing competition that is both physically and mentally challenging (and ultimately rewarding), the Spartan Race started in Vermont and has expanded to 120 cities across the country. While it’s certainly no stroll through the park, the Spartan Race taking place in San Francisco on Saturday is actually the shortest version of the race (it’s a sprint course), so a few bold newcomers may want to test their grittiness by signing up for the event. The race starts at 7:30 a.m. for elite athletes, but it lasts throughout the day, so participants can take Caltrain to the San Francisco station, which is just one block away from AT&T Park. 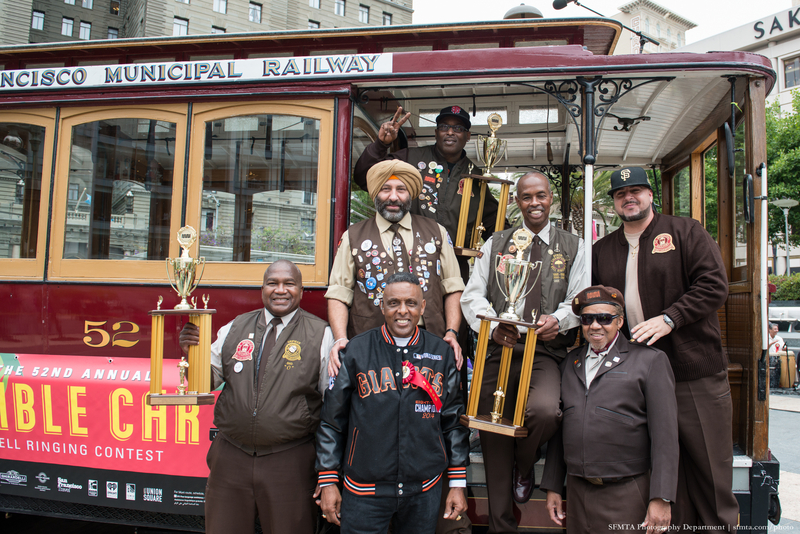 Muni Crowns Cable Car Bell-Ringing Champions: From alerting wayward drivers to get out of the roadway to entertaining tourists on Powell Street, the ability to deftly ring a bell is a necessarily skill for San Francisco’s select batch of cable car operators. As an indication of the importance of this art, each year Muni stages a cable car bell-ringing contest, pitting the finest operators against each other in a competition to see who can peal out the bells the purest. Last Wednesday, the agency carried out the 52nd version of the event at Union Square in San Francisco, with operator Byron Cobb beating out a talented field to take home the top prize. The July 9 competition also included an amateur ring-off, with Scotty Bastable, a marketing representative with CBS, garnering first place in that category. Can Vision Zero Be Achieved? : San Francisco, San Jose and dozens of other cities from across the country have all committed to the Vision Zero Initiative—a vow to significantly eliminate traffic fatalities and injuries. There is a long road ahead, but the success seen in implementing the Vision Zero plan in European cities bodes well for the efforts in this county. SPUR—a San Francisco-based think-tank—will hold an evening forum at 6 p.m. tonight to discuss what steps need to be taken to achieving the ambitious safety initiative. The forum will feature presentations from Leah Shahum of the Vision Zero Network, Tyler Frisbee of the San Francisco Bicycle Coalition, ​and Nicole Ferrara of Walk San Francisco. SPUR’s downtown San Francisco office on Mission Street is located close to several BART and Muni stops and is about a mile walk away from the San Francisco Caltrain Station.